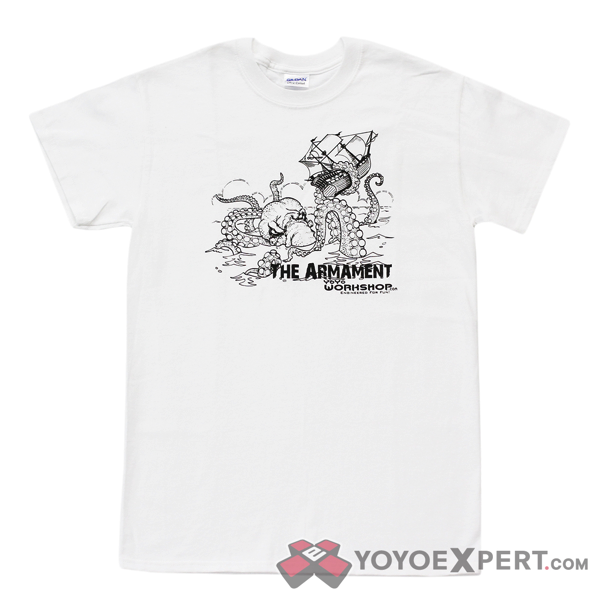 YoYoExpert Blog & Yo-Yo News – YoYoWorkShop Armament T-Shirt Now Available! 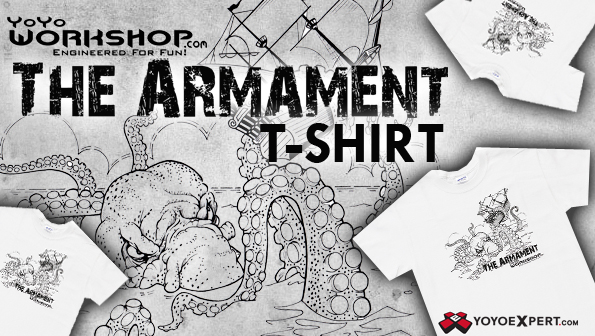 YoYoWorkShop Armament T-Shirt Now Available! Picking up the new YoYoWorkshop Armament tonight? Don’t miss out on these awesome T-Shirts! Only $10 with the purchase of the Armament yo-yo! The artwork was done by Wayne’s father, Jim Ryan, who is best known for the conception of the Toys R Us Geoffrey the Giraffe mascot in the 70’s! How cool is that?! New YoYoWorkshop CTHULHU Releases 7/28! The Armament RELOADED by YoYoWorkshop!